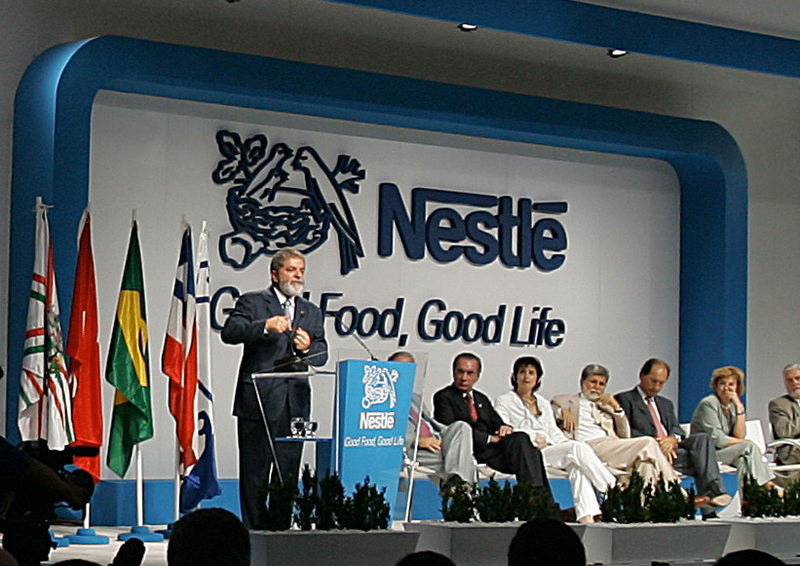 Nestle launched their human rights white paper in October 2013. Executive Summary: Nestlé’s white paper on human rights, produced in November 2013 represents the first time a company has publicly commented upon the assessment of its impact on human rights in its operations and supply chain. It has, in places, given an appraisal of the difficulties they have had in adhering to human rights norms, and how they plan to address these actual and potential risks of violations. However the paper is mostly a commentary on the methodology of their human rights impact assessment, rather than a discussion of the impacts themselves. I plan to use this piece, to describe the white paper itself, with analysis, and then go on to discuss the implications of this paper in the way companies will interact with human rights in the future, and the positive impact human rights due diligence could bring to a country like Cambodia. The way companies address the risk their operations pose to potential human rights victims is generally self-serving. Companies are addressing the risk to the company, whether it be reputational or regulatory risk, which is fair enough, but not the risk to the victims themselves. Although a subtle difference, this is often crucial, in that sometimes the risk to the company will not marry up to the risk to potential victims. Companies will always rush to cover the former, with the latter of secondary importance. Companies tend to categorise this risk as environmental and social risk – what impacts will their activities and products have on the environment and on the society that comes into contact with either their operations or products? However a growing trend, sparked by John Ruggie’s UN Guiding Principles on Business and Human Rights released in 2011, has brought human rights into the focus of the biggest multinational companies. Ruggie suggests that businesses, instead of checking whether they are in line with national laws and their own company codes (ethics of their own creation) to cover this risk, should check whether they are falling foul of international human rights treaties instead. It is certainly a novel idea, in that human rights treaties only apply to states, but as multinationals tend to follow the leads of their rivals, Nestlé has become the first major corporation to publicly report on aspects of their human rights impact and how they are measuring them. With the problems over the garment workers’ industrial action, and a host of alleged land grabs by major corporations, the potential of corporations’ impacts on human rights in Cambodia is well known. What will the Nestlé human rights white paper mean for the future of companies’ interaction with human rights and what will it mean for the protection of human rights in Cambodia? Nestlé, no stranger to the reputational risks that companies working in Least Developed Countries (LDC’s) face, has been working with the Danish Institute for Human Rights (DIHR) to try and mitigate these risks and address any adverse impacts their operations may have. They have a Creating Shared Value program, which takes an in-house look at Nestle’s impact on society, adds commitments to the companies code of conduct and acts as the base for many of their philanthropic programs. This program is impressive and outlines a lot of good work that Nestle is involved in, with programs on nutrition, water and health. Commitment to human rights is a baseline commitment though, meaning you cannot do a lot of good in one area to cancel out all the bad you did in another area, and the impact of a large amount of foreign investment can have lots of diverse impacts, good and bad. The Guiding Principles on Business and Human Rights lays out the ‘protect, respect and remedy’ framework, outlining the impact businesses have on society and their responsibility in relation to that impact. The guidance outlines three pillars to the upholding of human rights in the face of business activity: the duty of the state to protect human rights from corporate wrongdoings; the corporation’s duty to respect human rights; and the existence of effective remedies. The framework has been adopted by a range of international business councils and it seems Nestlé is the first corporation to take it to heart, specifically mentioning Ruggie and the Guiding Principles on their human rights page. So in line with the second pillar of the framework, the corporate responsibility to respect, Nestlé, together with DIHR, has conducted human rights impact assessments in seven of the countries in which they operate. In October 2013 they publicly shared the way in which they did it and the results of the assessments, including some detail on problems they encountered in their ability to respect human rights in those countries. The main component of Nestlé’s white paper on human rights outlines the methodology for their human rights impact assessment, giving a run-down on how they did it, with a few insights on what those impacts actually were, expanded upon in the chapter on assessment. They also give lessons learnt in each phase of the assessment, allowing companies to build upon their experience. A full report of their impacts are not included, but rather areas touched upon, such as procurement, were limited to an explanation of what the general issues were with few tangible examples specific to their assessment thrown in. The paper’s structure follows the stages of their impact assessment: scoping the human rights risk areas; conducting the impact assessment; integrating findings; implementing recommendations and monitoring progress. This process loosely follows the process of human rights due diligence as set out in the Guiding Principles, an activity that companies need to carry out in some form in order to become more well acquainted with their human rights risk and more able to mitigate those risks. Scoping the risk is all about getting a general idea of what the human rights risks are to the company, specific to that geographical area. What is the cultural context and what is the legal and regulatory framework? It’s also about identifying the different rights holders that could potentially be affected in that area, and the different external stakeholders that need to be identified to help with the assessment. Rights holders being the potential victims whose rights may be violated by something the company does, and external stakeholders being people who can point the company in the right direction as they identify who these rights holders are. (i) The first step of getting an idea of the risks faced, is the drafting of a country risk briefing which acts as a basis for understanding the human rights context in that area and the general themes, ie which violations are most common. The country briefing includes: the legal and regulatory framework; potential vulnerable groups; and all relevant stakeholders. The country briefing, prepared by DIHR, was drafted in collaboration with an in-country expert; a collaboration that Nestlé said was key to gaining true understanding of the risks. How can you know who the rights holders in a particular context are, if you don’t consult with an expert on that context, familiar with those rights holders? Geographical and cultural knowledge is something that is key in human rights assessments. (ii) Secondly, after the briefing was completed, Nestlé began to map out the full extent of their operations in each country, from the number of staff working for them to the origin of locally sourced commodities. Stakeholders were then contacted to get a better understanding of the human rights context in relation to Nestlé’s operations. Nestlé disclosed that they sometimes failed to provide a living wage for temporary members of staff in their factories, although with all permanent members of staff a living wage was ensured. 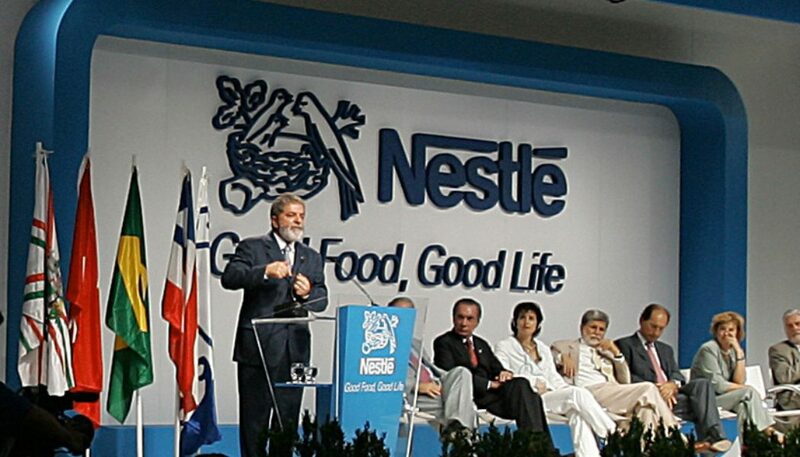 Nestlé admitted that the living wage in each country was not always clear and invested resources into finding out what it was for their workers. Nestlé’s facilities were up to scratch in terms of worker safety, but one area of improvement they identified in one country, was road safety with not just their trucks but the trucks of suppliers. A lot of accidents on the road and poor road safety information was causing a risk to Nestlé’s drivers and the drivers of their suppliers. In response to this Nestlé hired a road safety manager. Use of force was identified as a problem by security guards employed by Nestlé factories on workers. In response Nestlé included human rights in their security contracts. No real detail here about what the assessment found, but Nestlé in response to what was found implemented some anti-corruption measures and training for their staff. Noise, pollution, land grabs, the employment of local workers and the existence of grievance mechanisms were all considered in relation to this functional area. Unfortunately they did not expand on what the assessment found. Nestlé said that they were lacking in investment in high risk suppliers in this area. Responsible sourcing can sometimes mean investing in the supply chain, making sure suppliers hold themselves to the same human rights standards that are expected of your company. Nestlé identified this as an important area of their assessment, but did not go on to detail their impacts. For each functional area, the strengths, improvements and best practice opportunities were presented. These were communicated to the key personnel, ie the same people who received the questionnaires. Just to take one example, procurement, the best practice listed was the strength of the dissemination of the Nestlé supplier code amongst suppliers, and opportunities for improvement included monitoring of higher risk suppliers such as construction companies and transport providers. Nestlé also stated that in the integration process the remediation actions for any violations of human rights law were set, but did not list particular examples. 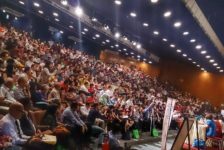 After the report was finalised, Nestlé initiated an action plan for each functional area making one of their employees responsible for the implementation of the plan. The white paper is a report on how Nestlé conducted their human rights impact assessment rather than what the results of the assessment were. In the penultimate chapter, Nestlé stated that the full report of their human rights impacts needs to be confidential to make the process as frank as possible, from the collection of data to the processes put in place to remedy the violations. Does this make it any less effective? It could be said that the motivation for doing an impact assessment of reputational risk is at odds with a completely public run through of all the misconduct of a company operating in an LDC. Most of the activities that corporations do in the public eye is run through their communications or PR departments before it reaches the public, so if it is done internally it could be less cosmetic. Regardless of whether it is more or less effective the very first step towards mitigating your human rights risk is becoming aware of that risk and the fact that Nestlé have done this at least takes them one step closer. The fact that Nestlé have made public the process is important because human rights impact assessments are so new for businesses. There is very little guidance on how companies should conduct these assessments and there is currently a rush of experts telling them how to do it without much experience to base their opinions on. Nestlé using the human rights expertise of DIHR have set the groundwork for others to build upon. It’s also helpful that Nestlé have lessons learned sections scattered throughout their report, detailing the problems they encountered and things they would potentially do next time that they didn’t this time. One thing that Nestlé stress is key is the importance of local knowledge in their impact assessment. In the drafting of the country briefing and the identification of the rights holders and external stakeholders local knowledge and networks were used extensively. It follows that how do you know what the potential impact of your operations will be if you don’t talk to the rights holders themselves, and in order to know who those rights holders are you need an in-depth idea of what their situation is and how your operations will change that situation. A lot of that will depend on geography and cultural context. This is potentially where some audit systems fall short, in their failure to truly understand their impact from the rights holders’ point of view. To what extent Nestlé has engaged with local human rights teams is not clear but there is evidence of some involvement. Human Rights Impact Assessments in place of bespoke environmental and social risk audits? Company audits can take many forms. A financial statements audit will usually involve an external auditor checking a company’s financial statements are correct. An audit which addresses the concerns that may arise from potential breaches of the company’s code of conduct or national laws will be a lot more bespoke and dealt with by a specialist in that area. If there is legal and regulatory risk – a company falling foul of national laws – they would employ a local legal expert or an international legal expert with geographical expertise. Current human rights risks would usually be categorised under environmental or social risk for businesses. These risks would concern the risks to the company rather than the risks to the affected communities of the company’s operations, although sometimes the same thing, not always. Meaning if there was a risk of causing environmental damage, the company would see the risk of the damage it could cause to the company’s reputation as a priority and then look at the risk of the adverse impact it would cause to the surrounding communities as a secondary concern. In the social and environmental auditing process the company or the external auditor would be looking for compliance with the company code and national laws. In human rights impact assessments companies are looking for compliance with international human rights legislation. Human rights due diligence looks at risk from the victims point of view taking into consideration their particular situation and context. Although audits and human rights impact assessments are similar types of activity with similar outcomes for the company, human rights due diligence has the potential to be different in terms of the outcomes for the potential victims of corporate harm. Firstly, the human rights impact assessment is more wide-ranging than checking compliance with national laws and company codes. In places where national laws have set regulatory bars to a very low standard to attract investment, due diligence looks beyond this to what is internationally acceptable. Secondly, audits are usually conducted in-house or by western-based consultancy companies, and involve a limited geographical context in that the potential victims may not be consulted in the process. Human rights due diligence requires context and the input of the rights holders themselves. Lastly, the difference between audits and human rights due diligence can draw parallels to the difference between soft and hard law. The Guiding Principles have been criticised by businesses for having no bite in that human rights instruments are not enforceable for companies, but does rule of law always have to be about punishing bad conduct? Can it also be about setting guidance for positive conduct and allowing responsible businesses to bring themselves up to internationally recognised standards? In some kinds of audits companies make sure all the boxes are checked so that they are compliant and face no regulatory, reputational or litigation risk. To what extent does this task become making sure the boxes are ticked rather than there is a reason behind these boxes being ticked? Also to what extent have boxes been created just for the sake of it, because of a slip and trip case in the UK, or for no reason besides making sure the company is covered in all eventuality? The due diligence process goes deeper than most audits, in that it actually assesses the companies impact on society rather than how compliant it is. The fact that the largest food company in the world has begun this process means that their competitors will in all likelihood naturally follow. This will hopefully mean that companies will begin to look deeper, beyond the cosmetic and the compliance, at their impact and their justification for providing a service to society. The societal licence for growth may be a major factor for more engagement with the communities companies operate in. It is certain that companies are beginning to look at risk through a human rights lens and the more they can see their impacts through a human rights lens, the more sense it will make to them to make positive changes to their operations, rather than making changes because they need to. Human rights impacts included in a company’s end of year reports? Nestlé’s report of human rights impacts is confidential, and quite rightly so, because if a huge company like Nestle revealed all of the skeletons in its closet at once, it may have huge repercussions for reputation and the company’s share price. The first duty of a company should always be to make a profit, to look after its employees and its shareholders. The company is creating a public service just by existing and creating all these jobs for people to earn their right to livelihood. Part of the reason end of year reports are made public is to make sure the company can be held accountable by its shareholders and the wider public in its performance. I suppose this goes against the sentiment echoed above that human rights are about positive guidance. There is an argument to say that if we don’t force companies to disclose human rights impacts they won’t do the assessments properly, or they will do the assessment but won’t take action on the results. The UK Government seems to think so with changes to the Companies Act brought into force in October 2013 which make human rights a mandatory part of the end of year reports for those companies for whom it is relevant. Due to the influence major corporations have over society full and frank disclosure to the public is important, but economic realities realistically preclude this for the time being. What is important is setting internal systems in place that can monitor adherence to human rights, which may mean training key staff such as procurement personnel or having dedicated employees to human rights like the Nestle Human Rights Working Group. Undertaking a human rights due diligence process is one step towards changing companies’ operations at a country and corporate level, increasing awareness among its staff and directors about the impact it has on society. For western multinational companies operating in Cambodia, most notably the clothing companies with supply chains based here, human rights impact assessments would build upon factory audits and get a deeper look at their impact on Cambodian society. Generally the Cambodian garment factories are good on compliance, thanks mostly to Better Factories Cambodia (BFC), an initiative by the International Labour Organisation (ILO), but problems with freedom of association and industrial action have actually led to the deaths of some workers. The possibility of divestment in one factory for another down the road, means pressure for factory owners to produce the goods. Although the new factory may be compliant, thus checking the boxes for the audit, the clothing company leaves a bit of a mess behind at the old factory and creates an atmosphere of economic ruthlessness – a fear that the rug may be pulled at any moment. This is where human rights due diligence picks up detail that an audit would not – the right to livelihood of the previous factory workers, the right to freedom of association, without the likelihood of the clothing company going down the road whilst protests are ongoing. Part of the due diligence process involves integration of human rights considerations into the company. If the procurement person understands this dilemma and the consequences then at least he has the opportunity to change the practice of pulling the rug. For other international companies operating in Cambodia and Cambodian national companies, human rights due diligence is probably less on the agenda, but will be of importance as ASEAN Economic Integration nears in 2015. There will be an influx of ASEAN companies wanting to access the Cambodian market when integration happens so it is important that human rights due diligence services are at least offered to these companies so they can assess their potential impact on Cambodia. Human rights impact assessments may be more expensive and resource intensive than audits, but provide an extra layer of detail about the company’s impact on society. Considering companies exist to provide a service or product to society, although their first duty is to make a profit to stay afloat, you think that a deeper analysis of their impact on the community and the environment would be more useful than a checkbox exercise related to compliance. Nestlé have begun the trend and hopefully now their competitors will follow. For companies operating in Cambodia it may certainly have a positive impact on Cambodian society, and in the light of impending ASEAN economic integration it would be an additional tool to mitigate potential corporate harm and bring businesses closer to the community. Edward is an international human rights consultant focusing on rule of law and social justice issues, with a background in legal education.